Your job in Incoming Again is to kill all incoming soldiers, but to do that first you will use a simple rifle that has how many bullets does it hold? Stand against your enemies and play the Frontline Defense 2 where at the beginning most of the stats of your towers are different, but the Range of Fire (aka RoF) is same on all and is how much? Clan wars 2 Hordes of evil goblins are wandering around, making you to become their ultimate leader! As such, your first mission in Red Plains you can Upgrade (or better said Increase) your Towers and Turrets for how many times? Only those who search for Peace will get access to the game of Arkeia! There, you can lead and command your soldiers to move on how many corridors? Find a way how to grow, or even better, Search the word Grow at PlayTDG and learn how to create the ultimate bubbled tank (from the given game results that is). That epic bubbling 3rd installment has a starting bubble base that on the mini map (upper-left) is marked with what letter? Take The Last Stand and view the instructions of how to play that game. Inside the instructions, the Hours Left are representing what number? IN Wizards run what is the first letter of the colour of the wizards robe? Castle Guard is a new strategy game where your job is to protect your castle during 20 challenging waves. 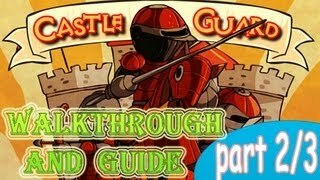 Read more details and watch the full video walkthrough for Castle Guard. 20 enemy waves have invaded your castle! Only you can command defensive units to withstand all attacks and destroy all threats! Good luck! Splitman 2 is a new puzzling adventure where you literally split yourself in two so you could overpass the obstacles you encounter with. 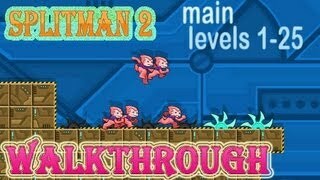 Read more details for Splitman 2 and watch the full video walkthrough for Splitman 2 Main Levels 1-25. Take control of strange looking futuristic hero that when it comes in touch with chainsaw it literally cut himself in two. Think wisely for your steps, push buttons, collect secret keyholds and have fun! 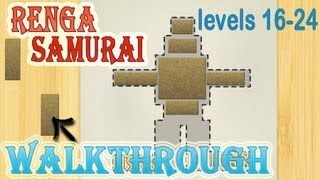 Renga Samurai is a new shape cutter game where you must slash through blocks and fill up the marked area. 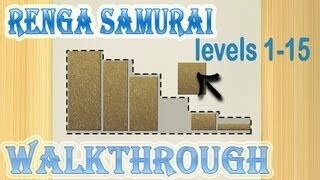 Read more details for Renga Samurai and watch the full video walkthrough for Renga Samurai. In this new shape matching game, you represent a brave Renga Samurai whom blade can cut through all kinds of shapes and objects. Slash through the given cube and try to fill up the marked area with the slashed pieces. Tainted Dreams are made of hopes, who on Earth would look for more? Well, you should search for Tainted and play the game that is shown as result. In that game, the first mission is named “Dark Hours” where during the briefings, there is big green letter. What is that letter? Use the search box to search for Freedom and open that “Modern Tactics 2 Game” sort of game. When you start playing that epic turn-based tactical game, after the loading is done, how many shooter are shown on screen? Zaptonia Defense is a game where the cheapest tower cost only 25 gold, has 100 HP and how much armor? One of the good tank-themed games is the Toy Tank Defense. How many missions are there? Look into the future and play a sci-fi game that is known as Cyberoids. That game contains five different levels, where as soon as you select any of them, its map is shot by how many bullets? Fombies is a unique anti zombie game where you can play with one out of two shooters. One of them is named Jim and the second name starts with what letter?